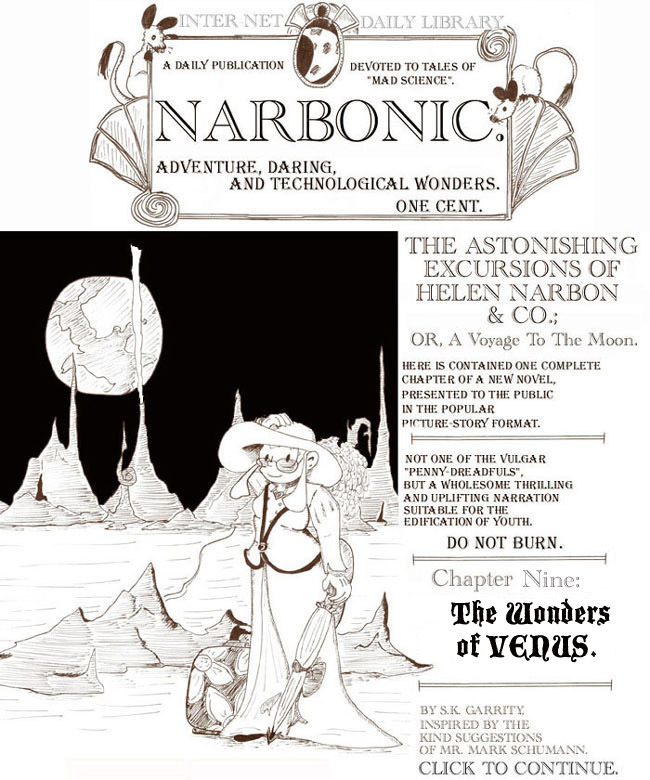 The Astonishing Excursions of Helen Narbon &Co., Chapter Ten. The fills are terrible as ever, but I actually like the beige frames I put around the panels to make them stand out. Drawing the characters sitting on the floor was actually pretty hard, given my limited drawing ability at the time, but they didn’t turn out too badly except for Helen’s legs being awkwardly foreshortened. 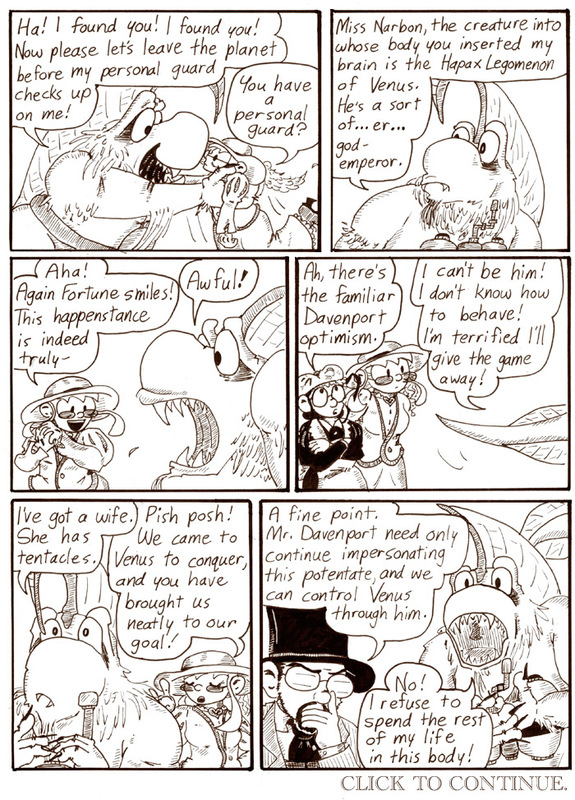 I like that you can see all the Sharpie marks in the last panel, the only one where I filled in the blacks by hand. By this point I’d pretty much gotten a handle on drawing the Hapax Legomenon–or Dave as the Hapax Legomenon, whatever. I still like his expression and pose in the next to last panel, as well as the alarming number of razor-sharp teeth he shows whenever he shouts. Weak, timid body language from a powerful-looking body is always pretty funny; I ended up doing essentially the same thing with Artie’s human form later on. As it turns out, Helen did save Dave’s body. It’s funnier if she didn’t, of course. I ended up having a pretty good time doing the fancy sound effects lettering for the Victorian comics. I like sound effects with serifs. I think it’s even funnier when Dave is suddenly forceful and then apologetic for being forceful. What is that swirly thing behind Helen in panel 1, I wonder? Perhaps it is just a Venusian bit of Victorian moulded plasterwork. It’s attached to her hat. You can also see it on the previous page. That would be a feather. Probably ostrich (or ostrich-gerbil hybrid). It’s amazing… having been told that those symbols aren’t just random doodles, I can actually read the Venusian language with a bit of effort. It’s just like when I took Japanese class, but with significantly less material to try my newfound talents on, and no dictionary. Ah yes, so it is. Either a feather or a sort of chiffon veily thing. I never get tired of the “eyes in the dark room” effect. 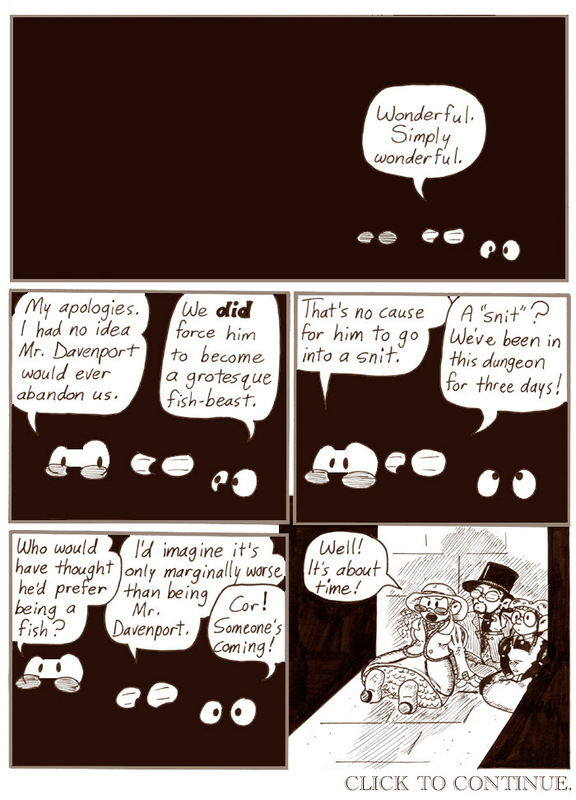 In fact, “Eyeballs In The Dark” would make a nifty band name. Or an Ozzy Osbourne album. Or an Ozzy Osbourne snack. I don’t know, “Eyeballs in the Dark” sounds a bit more like something from Dio.